When she’s not blending into the scenery, Eizan Kaburagi is disappearing in a cloud of smoke or running up walls! 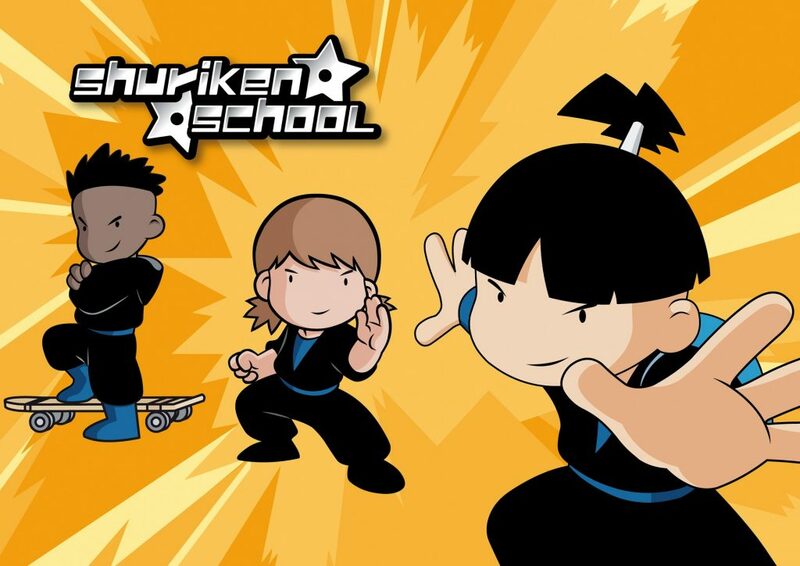 After all, this is Shuriken School! OK, so it doesn’t have the reputation of Katana, its rival, but he’s learning how to become a great Ninja, thanks to creative (though incompetent) teachers and especially, a gang of super friends!